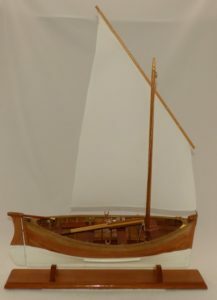 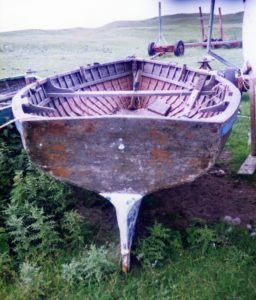 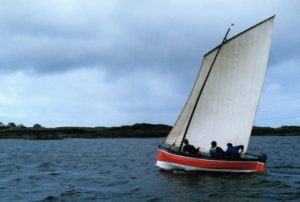 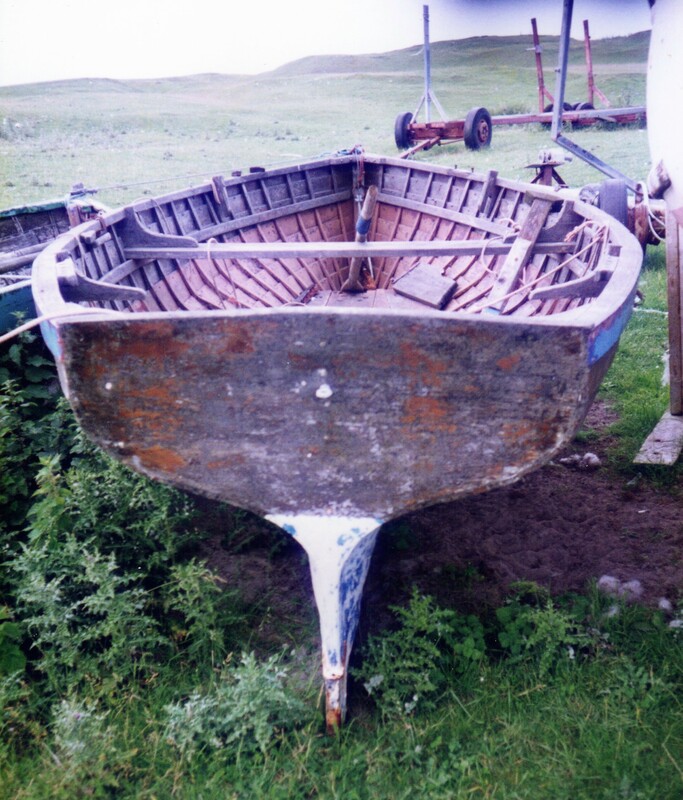 Colour photograph of a traditional boat built by Donald MacIntyre, Gott, on the machair. 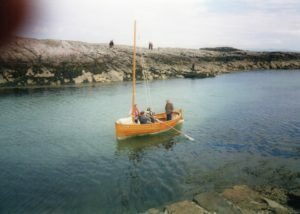 He wasn’t happy with it, saying that it didn’t sit right in the water. Colour photograph of Dr John Holliday (b. 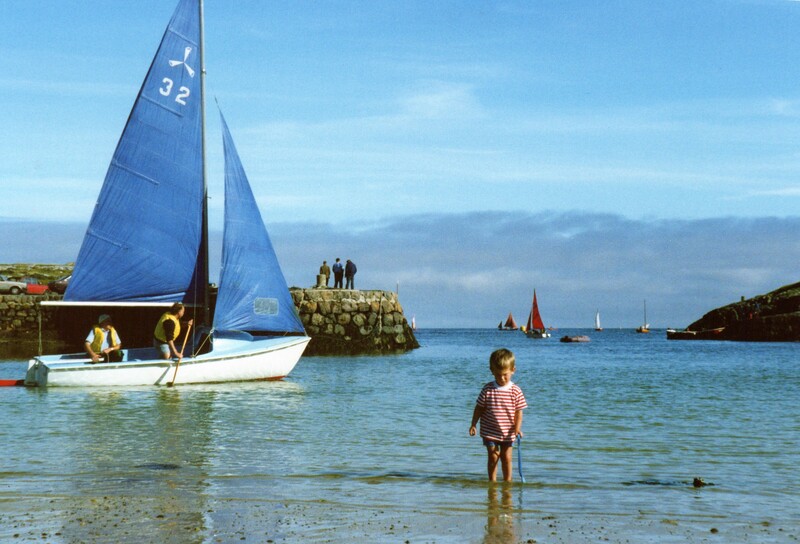 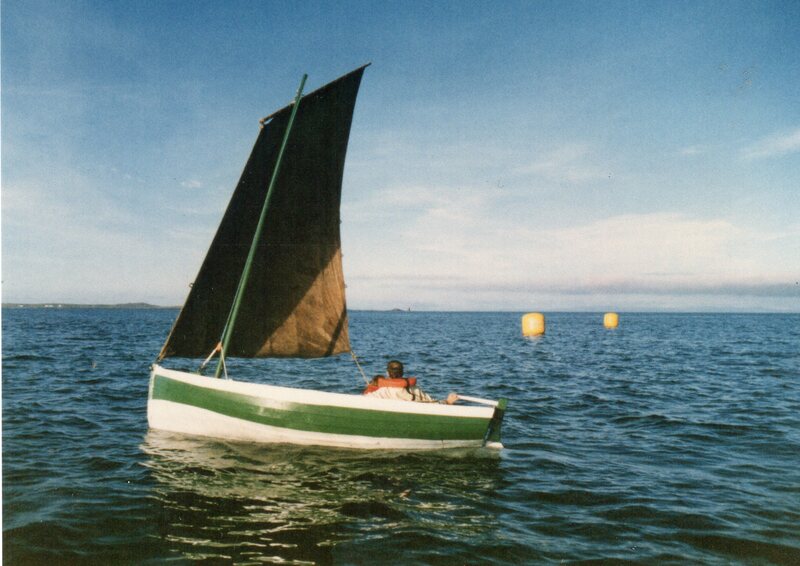 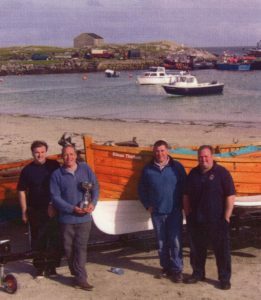 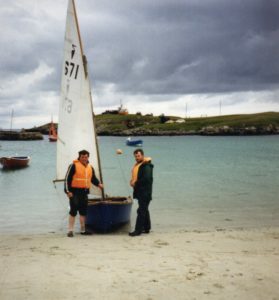 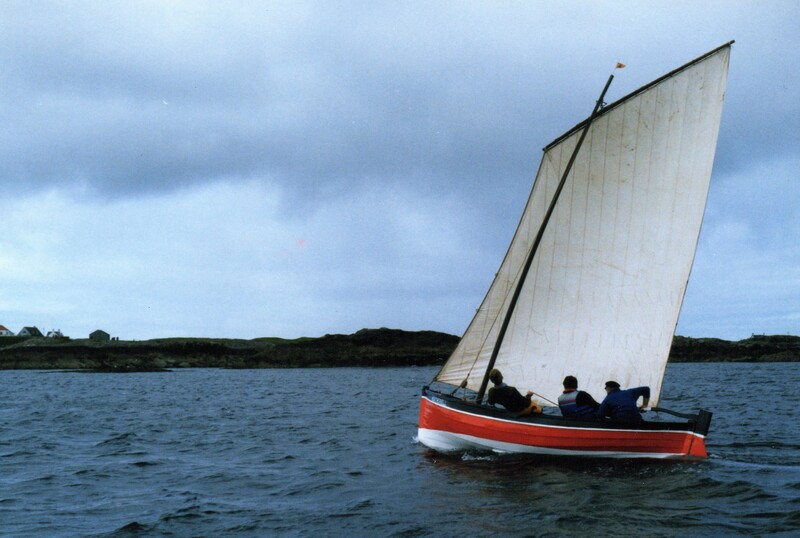 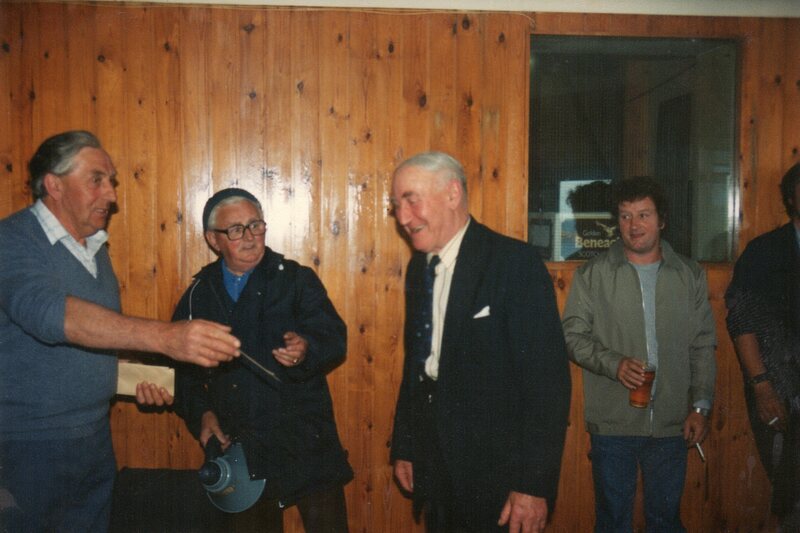 1954), Tiree GP during 1988-2014, in the ‘Ròs’, a traditional dipping lug sail boat at the 1988 Tiree Regatta. 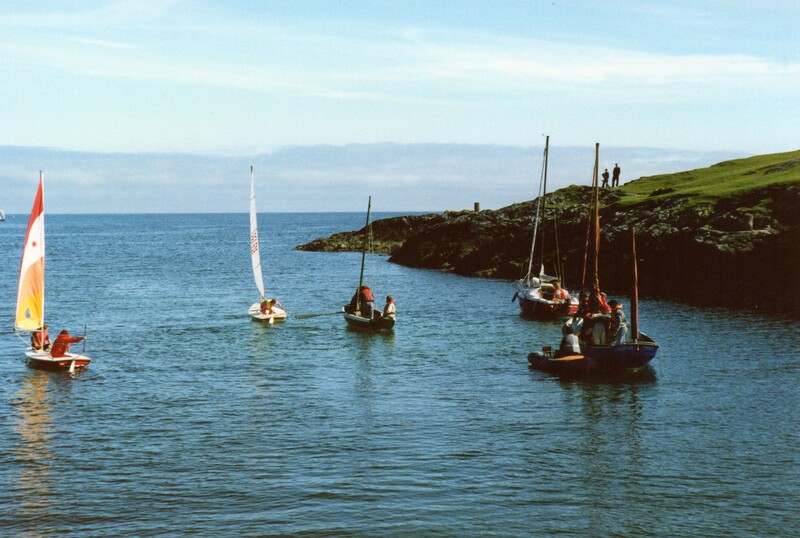 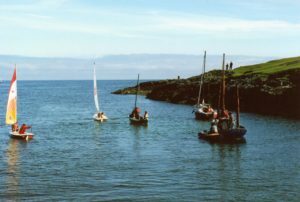 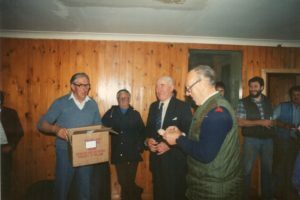 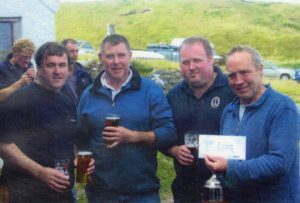 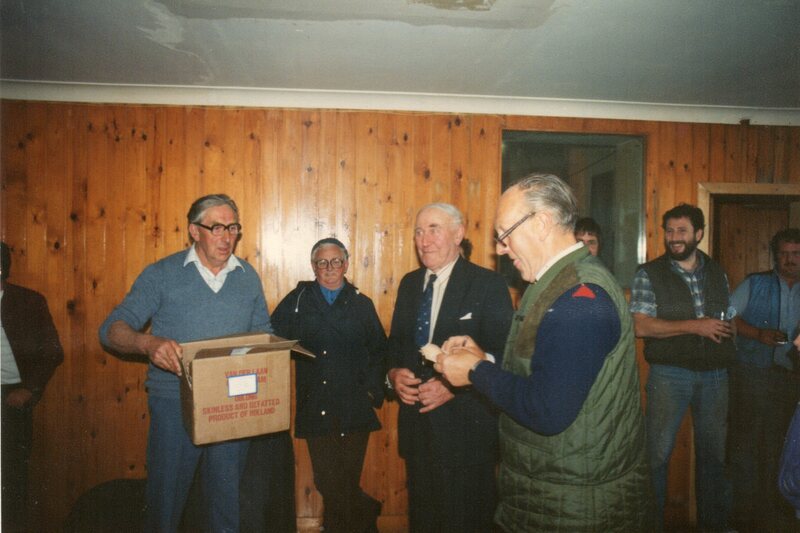 Colour photograph of a scene at Scarinish Harbour during the 1988 Regatta.